The AlcoSense Pro and Ultra won the prestigious 2016 Red Dot Award for Product Design. The Red Dot Design Award is an international product design prize awarded by the Red Dot Design Museum in Essen, Germany. In 2016, a total of 5,216 products were assessed for the award by a jury of 41 independent design professionals. Past winners of the award include Apple in 2001, BMW in 2007, LG in 2008, Porsche Design in 2012, Lenovo in 2013, Bose in 2014 and Dell in 2015. AlcoSense was awarded the Kevin Story Award for Outstanding Contribution to Road Safety by Brake in 2014. The award is given to a company or indivdual who has demonstrated outstanding commitment to increasing road safety in the UK. AlcoSense was recognised for it's groundbreaking research into morning after drink driving, raising awareness of the little known issue and providing a geniune solution to the problem with AlcoSense. Wired Magazine conducted a group test with several breathalysers, the AlcoSense Elite read identically to the Police reference device and with that took the crown for best breathalyser. In December 2014 Diesel Car Magazine performed a group test of 9 consumer breathalysers, the AlcoSense Elite won the group test with the AlcoSense Lite coming in a close second. "The prestige breathalyzer, neat and easy to use, very accurate." Each year Ernst & Young brings the top business people together to find the Entreprenuer of the Year. Hunter Abbott made it through to the semi-finals for his achievements with AlcoSense. AlcoSense was recognised as one of the top tech items for 2011. AlcoSense Elite - Winner – Best Breathalyser under £100. Last November What Car? Magazine performed one of the most scientific reviews of personal breathalysers ever done by a media company. They tested 8 devices on the market, ranging from £20 to £300 to find if, and how well they work. AlcoSense cleaned up in its price categories! The AlcoSense Elite performed well in our tests, giving accurate results throughout. Good performance at a reasonable price. 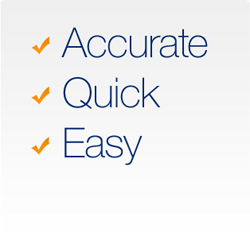 AlcoSense Lite - Winner – Best Breathalyser under £40. Excellent performer for such a low price. Follow the instructions carefully and this budget unit can punch above its weight. The AlcoSense Lite was the best of the cheaper models, and not far off the best mid-priced units. The Lite is the pick of the discount devices. 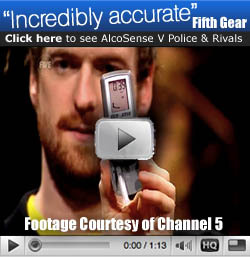 Channel 5's Fifth Gear TV show tested high street breathalysers against the Lion 500 Police breathalyser, AlcoSense Elite emerged victorious, reading the same as the Police device. In 2008 AlcoSense was nominated for the highly prestigious IMechE Innovation of the Year Award at the National Business Awards and was short listed from thousands of entries into the final handful of exceptional innovations. Although AlcoSense did not win overall, it was awarded Highly Commended status, a title which very few businesses even achieve. Mobile Electronics News is the UK’s leading aftermarket car electronics magazine for the trade, distributed to everyone from the corner shop auto factor to Halfords and BP. In the magazine’s 2008/9 awards AlcoSense won the top level Gold Award as the number one safety product. 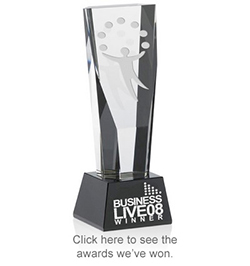 Business Live 08 Award is an exclusive award presented annually by the Thames Valley Chamber of Commerce to one business or individual who demonstrates entrepreneurialism, vision, success, innovation and ethics far beyond what would normally be seen. Hunter Abbott, Managing Director of AlcoSense took this award in 2008. Every year Brake, the road safety organisation run their Fleet Safety Forum Awards which recognises advancements in the safe management and implementation of fleet policy and technology. AlcoSense came runner up in the award and was presented with a Highly Commended trophy. After months of planning AlcoSense was launched using one of the most unique marketing strategies which had been seen. Launching with great success the campaign and the AlcoSense product caught the eyes of the Chartered Institute of Marketing and with it, their illustrious annual Marketing Innovation of the Year Award 2007. Hunter Abbott, Managing Director of Now Group UK Ltd, the company behind AlcoSense was awarded the title of Young Entrepreneur of the Year 2005 for his development of Now Group UK Ltd from a start-up in 2004 with only £3,000 capital to over £1 million turn over in less than 12 months.